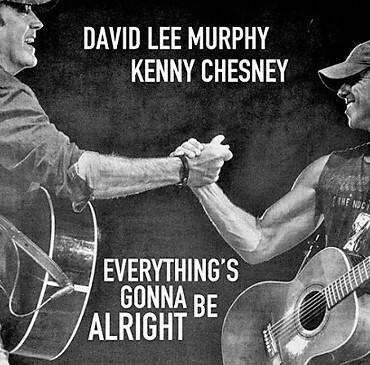 Lovin' Lyrics Music Promotions: DAVID LEE MURPHY AND KENNY CHESNEY WIN MUSICAL EVENT OF THE YEAR FOR "EVERYTHING'S GONNA BE ALRIGHT"
DAVID LEE MURPHY AND KENNY CHESNEY WIN MUSICAL EVENT OF THE YEAR FOR "EVERYTHING'S GONNA BE ALRIGHT"
When Kenny Chesney decided to make what became No Zip Code with David Lee Murphy, he believed in the singularity of Murphy's voice as an artist and as a writer. When Murphy asked Chesney to sing on “Everything’s Gonna Be Alright,” a song about finding grace in the eye of the storm, he was honored to sing with his good friend. And this morning – on “Good Morning America” – Murphy’s first No. 1 this decade was named the Country Music Association’s Musical Event of the Year. One of two pre-telecast awards, it started the CMA day off on a good note. For Murphy, Musical Event of the Year was his first CMA nomination. It is now also his first CMA Award.